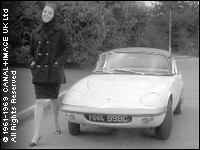 I've heard somewhere, that Emma Peel's car is in a museum. Is that true? And where is that museum? It's a wonderful museum, and it was a real treat to see (and sneakily touch) Mrs Peel's car. Highly recommended. Thanks for the information, but that's a bit too far away! I travel to London in February 2010 and want to visit also some Avengers places. Can you propose me some locations to visit? I planned to visit "Duchess Mews", but It would be great, if you could make me some other suggestions. 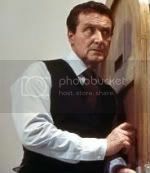 If you can get out of London, travel north to Aldbury (near Tring) which was the location for Murdersville - it looks largely unchanged. Also near there is Ivinghoe Beacon, where some location filming for The House That Jack Built was done. My cousin lives near Aldbury, so I've been there a few times - it gives you a buzz to think you're at the place where Diana Rigg was ducked in a pond!! That is very interesting...they didn't build a lot of that model, right ??? I think it was a contempoary car of it's time. I don't know if it was an especially exclusive model or anything. They have the colour era powder blue Lotus Elan 3S, and not the monochrome era white Lotus Elan S2, just so you know. 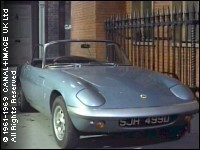 If anyone is interested, i just saw a lsiting on ebay under 'Diana Rigg Lotus Elan The Avengers Vitesse Corgi'. It is a 1.43 scale diecast model. The starting price is at GBP 68.00. Less than 6hrs. left at the time of this posting! is it a large place-with lots of cars, etc ? It's a small privately owned museum. Maybe I'll visit some of the locations if I'm ever in London. They're great to view too online, thanks. Imagine living at 19a Chalcot Crescent and being a fan! That's a shame, not least because a good proportion of the 'Cars of the Stars' will have no relevance in the USA. Always a shame to see British heritage disappear overseas. One could argue that they will get more paying British visitors in Florida than they got in Keswick. I suppose that's entirely possible! This year’s Earls Court Motor Show at Revival will celebrate the ‘Great British Sports Car’. of the iconic, and quintessentially British, sporting cars. What are your all time favourite ‘Great British Sports Cars’? They don't say whether SJH 499D will be part of the display. How to celebrate half a century of the Lotus Elan? An Avengers/Diana Rigg/Lotus mash-up seems about right!